Of course, volcanoes are a firm favourite subject for young geographers but how can teachers put the headlines and social media posts in context with other famous case studies that students are more familiar with. 1. Rank the most important 4 effects of volcanic eruptions in Hawaii. Do the same for Iceland. How and why are your lists different? 2. 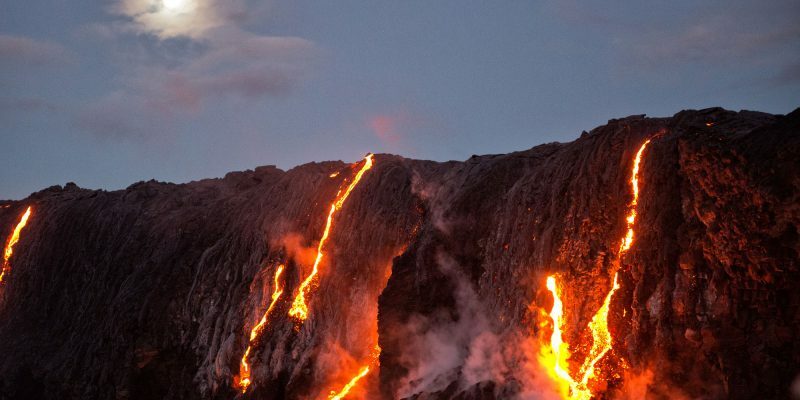 Explain why the effects of volcanic eruptions in Hawaii and Iceland will be similar or different. Consider social, economic and environmental factors. 3. Use the information in the tables as a starting point for more detailed research into volcanic eruption events in Hawaii and Iceland. How does volcanic activity in both areas compare? Can you explain similarities and differences between events? https://volcano.si.edu/search_volcano.cfm Smithsonian Global Volcanism Programme volcano database, with detailed search ability for location, type of eruption, type of volcano, type of lava, etc.